PCN, Inc. | About Katrin Hillner - PCN, Inc.
Katrin Hillner joined PCN in 2004, and has served as the company’s President and CEO since acquiring a majority interest in the company in 2006. Katrin’s focus is on strategic planning, new business development, and operational excellence and controls. Her passion for hiring great people is complemented by an intense market focus and drive to solve enterprise problems through technology services. She is committed to maintaining and strengthening the extraordinary company culture which is the foundation of PCN’s success. Katrin received an MBA from the University of Michigan Ross School of Business and BAs in Economics and Political Science from SUNY Albany and is PMP and ITIL certified. Katrin’s previous career experience included management positions and international assignments with Katalyst Venture Partners, FUSA Bank, and Aeroquip Corporation (now EATON Corp.). Her experience as both a user of consulting services within large organizations and as a provider of consulting services to large and start-up entities, gives her insight into the value of business partners who understand the big picture while delivering against the details. 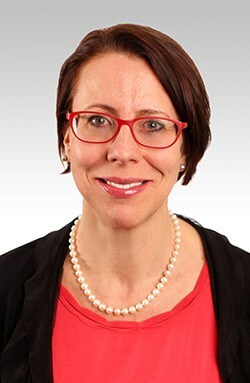 Katrin serves on the board of the Technology Council of Central Pennsylvania, and on the Greater Philadelphia’s Chamber of Commerce’s CEO Council for Growth’s Infrastructure Working Group. She is an active member of Women’s Business Enterprise National Council (WBENC), Advancing Women Entrepreneurs (AWE), Network of Women in Computer Technology (NWCT), Project Management Institute (PMI), the Philadelphia League of Women Voters, and the Greater Philadelphia Chamber of Commerce. Katrin is a finalist at SmartCEO’s 2014 Voltage Award and was honored to receive the Women’s Business Enterprise Council of PA-DE-sNJ’s 2013 WBE Leadership Award. She is excited to be part of the 2014 host committee of WBENC’s National Conference and Business Fair, taking place June 23-25th in Philadelphia.